If special counsel Robert Mueller’s probe into Russian meddling in the 2016 election was once a cloud hanging over the Trump administration, the near-daily headlines coming out of the high-profile investigation post-midterm election might rightly be described as a downpour. 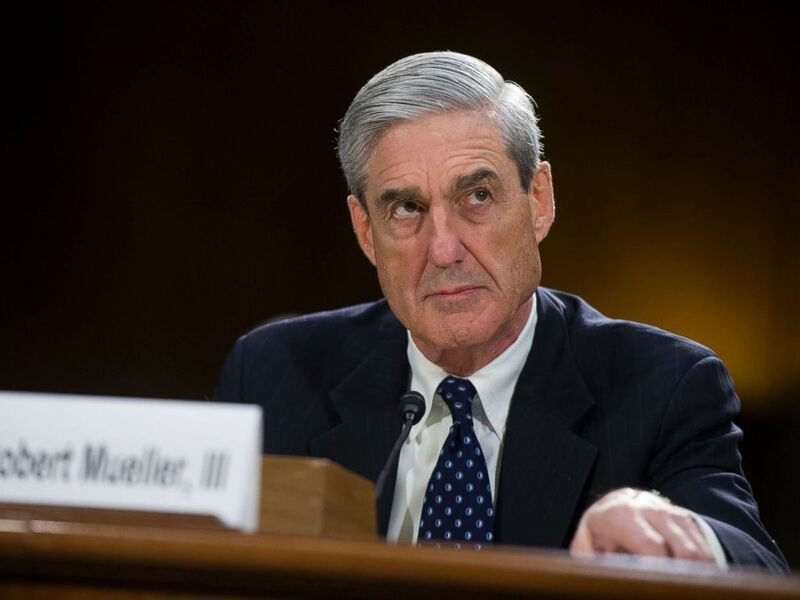 With recent developments in the special counsel’s cases against President Donald Trump’s former longtime personal attorney, former campaign chairman and former national security adviser, Mueller and his team of prosecutors are showing no signs of slowing down as the new year approaches. Over the course of his 19 months as special counsel, Mueller has indicted 33 individuals and three businesses. Of those indicted, seven people have pleaded guilty, four people have been sentenced to prison, and one person has been found guilty at trial. Michael Cohen walks out of federal court in New York, Nov. 29, 2018. The president’s longtime personal attorney and fixer has transitioned from one of Trump’s most fervent defenders to a cooperating witness in multiple probes targeting the Trump family, campaign and related business ventures. The office of the special counsel in August referred Cohen’s case to the Southern District of New York, where federal prosecutors implicated Trump in a scheme to silence women who alleged during the 2016 campaign that they had extramarital affairs with him before he became president, according to court documents — a revelation Cohen first raised during a plea hearing in August. 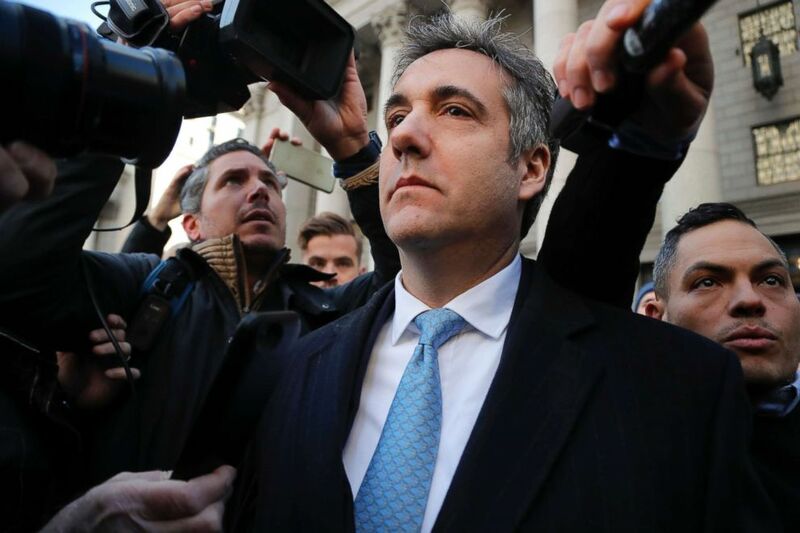 In addition to charges brought by the Southern District of New York, Cohen pleaded guilty to the special counsel’s charge that he lied to Congress. Former White House National Security Advisor Michael Flynn leaves the Prettyman Federal Courthouse following a sentencing hearing in U.S. District Court, Dec. 18, 2018 in Washington. Retired Army Lt. Gen. Michael Flynn has been cooperating with the special counsel’s office for much of the past year. 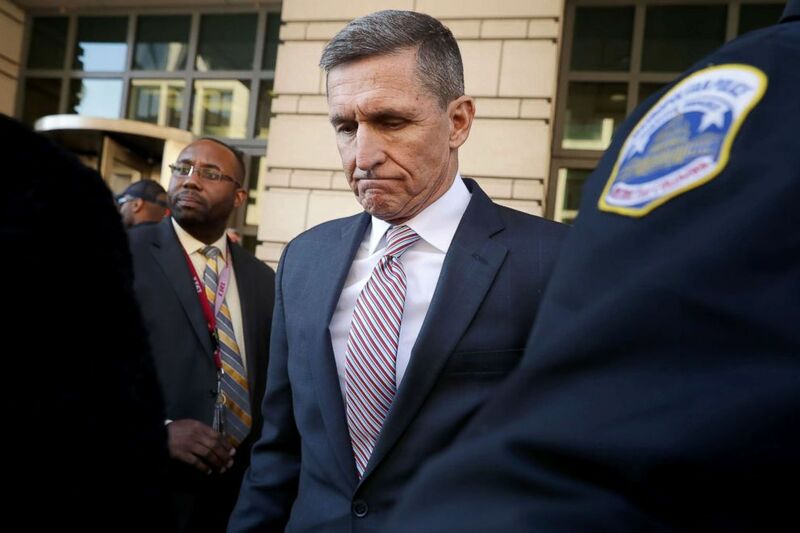 Flynn was slated to be sentenced in late December, but after Judge Emmet Sullivan laced into the former Trump national security adviser during his sentencing hearing, his attorneys and the special counsel prosecutors agreed to delay. In December 2017, Flynn pleaded guilty to lying to the FBI during the interview about contacts he had with Russia’s ambassador to the U.S., Sergey Kislyak, during the presidential transition — from Election Day 2016 until Donald Trump’s inauguration. Since then, Flynn has sat for 19 interviews with the special counsel’s office. And during his December hearing, he once more reaffirmed his guilty plea. A status report in the case is due on March 13. For Paul Manafort, 2018 brought on a legal blizzard that could send the former Trump campaign chairman to prison for the rest of his life. Manafort, who has been indicted on three separate occasions and in two jurisdictions — Washington, D.C., and Virginia — by the special counsel since late 2017, was found guilty at trial in August on eight counts of tax and bank-fraud in the Virginia case related in part to his work as an unregistered foreign lobbyist. 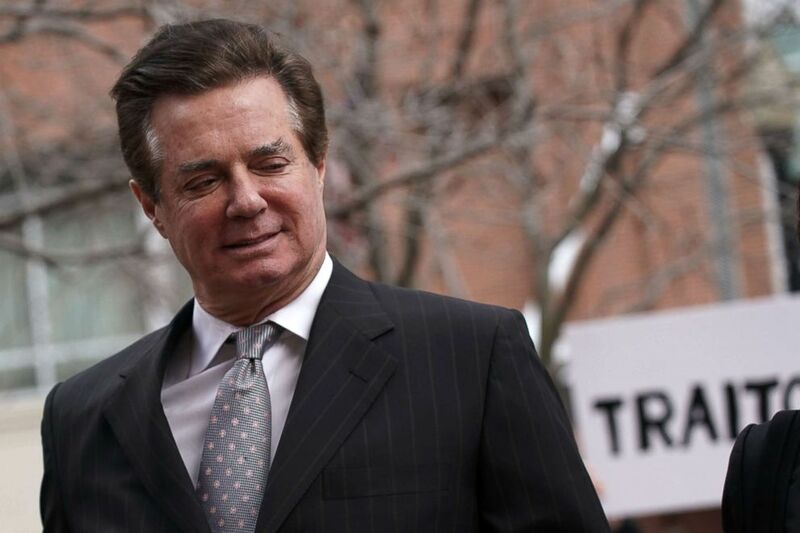 On the eve of a second trial in Washington, D.C., Manafort struck a plea deal with prosecutors that allowed him to plead guilty to lesser charges in exchange for “broad” cooperation. But that deal was short-lived. Within two months of signing onto the agreement, ABC News reported that prosecutors in the special counsel’s office had grown frustrated with Manafort’s level of cooperation and shortly thereafter accused him of breaching his plea deal by lying during interviews. Earlier this month, in describing the nature of Manafort’s alleged lies, special counsel prosecutors accused him of providing false information about his contacts with Trump administration officials and interactions with Konstantin Kilimnik, a longtime business associate whom the special counsel has identified as a former Russian intelligence officer. The federal judge presiding over the Washington case has since asked prosecutors for the “underlying evidence” to support their claims that Manafort lied. Lawyers for the defense and prosecution have until early January to exchange information about the special counsel’s allegations. Manafort has been behind bars since the judge in his Washington case revoked his bail in June. His sentencing in the Virginia case is set for February 8. Rick Gates, former campaign aide to President Donald Trump, departs after a hearing at U.S. District Court in Washington, DC, Dec. 11, 2017. 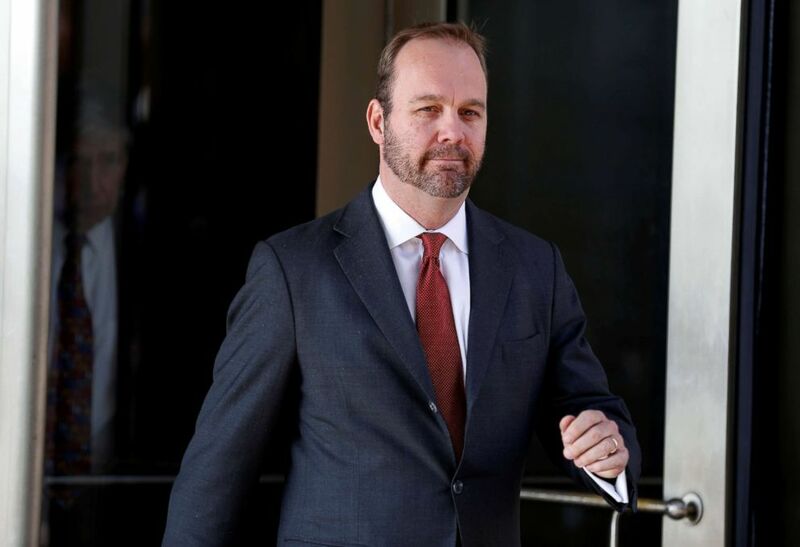 Rick Gates, a high-ranking former Trump campaign official and longtime Manafort business associate, agreed to plead guilty to charges of conspiracy against the U.S. and lying to federal authorities about his work with Manafort prior to joining the Trump. During Manafort’s August trial, Gates described his role in hiding millions of dollars in more than a dozen offshore accounts from United States tax collectors, telling jurors that he did so at Manafort’s direction. Gates also admitted to embezzling “several hundred thousand” dollars from Manafort. The extent and content of Gates’ cooperation with prosecutors remain largely unknown. But prosecutors wrote in mid-November that Gates “continues to cooperate with respect to several ongoing investigations,” according to court documents. The next joint status update is due in mid-January. Mueller’s mandate is to investigate Russia’s efforts to undermine the 2016 presidential election. So what action has the special counsel taken to hold Russians accountable? Over the course of his investigation, Mueller has filed indictments against 26 Russians and three Russian businesses. That figure includes a February indictment of 13 Russian individuals and three Russian companies charged with violating criminal laws with the intent of meddling “with U.S. elections and political processes”; a June indictment of Konstantin Kilimnik, the Russian national and associate of Manafort, on charges of witness tampering; and a July indictment of 12 Russian intelligence officers who allegedly coordinated the hack and dissemination of networks belonging to Democratic Congressional Campaign Committee, the Democratic National Committee and Hillary Clinton’s campaign. A Russian firm called Concord Management and Consulting, LLC, which the Justice Department says is owned by a close confidant of Russian President Vladimir Putin, allegedly funded the Russian “troll factory” indicted by Mueller in February. That group stands accused of employing Russian nationals to create hundreds of fake American personas online as part of a massive influence operation to sow social and political discord ahead of the 2016 presidential election, according to prosecutors. Concord, which hired American attorneys in April, has pleaded not guilty to a conspiracy charge and is currently engaged in a legal battle with prosecutors after asking a U.S. court to allow it to share information that the U.S. government considers “sensitive.” The special counsel and Concord are scheduled to trade motions on the question of information sharing in February of 2019. With the exception of Concord, none of the Russians have entered a plea and are unlikely to appear in a U.S. court. 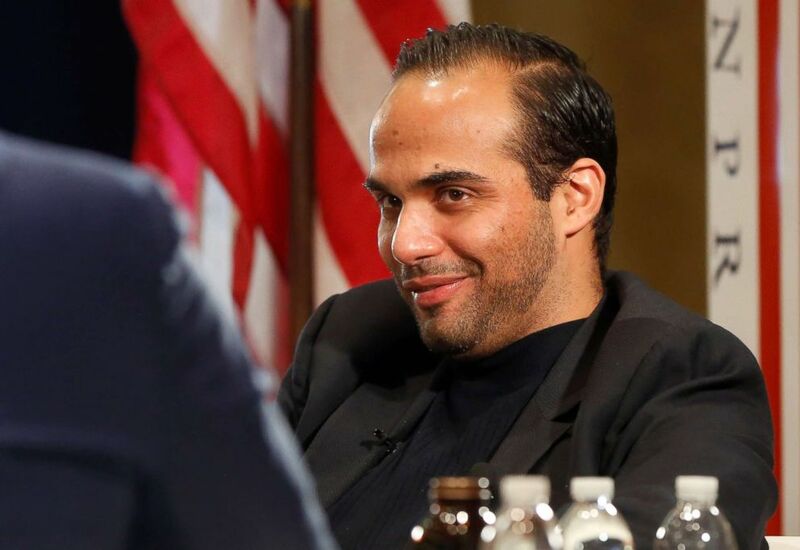 George Papadopoulos speaks at the American Priority conference in Washington, Dec. 8, 2018. Cohen was sentenced to 36 months in prison in early December on charges brought by federal prosecutors in New York. But an additional charge of lying to Congress, which was brought by special counsel prosecutors, garnered two more months from the judge, making him the fourth person sentenced to prison as part of Mueller’s probe. The sentences can be served concurrently, the judge said. George Papadopoulos, a onetime Trump campaign aide, recently served a two-week prison sentence for lying to the FBI about his foreign contacts during the 2016 presidential campaign. Alex van der Zwaan, a Dutch attorney who pleaded guilty to lying to federal investigators, served a 30-day sentence earlier this year before being deported. The son-in-law of a Russian oligarch, van der Zwaan entered his guilty plea in February for lying about his work in Ukraine with Manafort and Gates. Richard Pinedo, a 28-year-old California man who studied computer science, is currently serving a six-month prison sentence for identity fraud. In a February indictment, special counsel prosecutors said Pinedo bought and sold bank account numbers online with the intention of allowing his customers to circumvent security verification processes for digital payment companies such as PayPal. Some of those customers, the special counsel alleges, were Russians. The unparalleled discretion of Mueller and his small team of prosecutors has made forecasting their next move an exercise in speculation — even for the most knowledgeable and seasoned spectators. But based on interviews with dozens of grand jury witnesses, members of the president’s legal team and other sources with knowledge of the investigation, ABC News has reported that Mueller appears focused on Roger Stone, who was a longtime informal political adviser to President Donald Trump. With regard to a possible conclusion to the probe, ABC News has reported that Mueller and his team of prosecutors are in the process of writing a final report. But it is not a foregone conclusion that the American public will ever learn the full extent of his findings. Under the current special counsel regulation, Mueller is required to provide the attorney general with a confidential report explaining his recommendation to bring charges or to decline to prosecute. The acting attorney general, currently Matt Whittaker, will also notify the chairmen and ranking members of the House and Senate judiciary committees of the report’s completion and give an explanation. It will be up to the acting attorney general whether to release that report to the public.